Use as much as you want, without worrying about data consumption or additional costs. 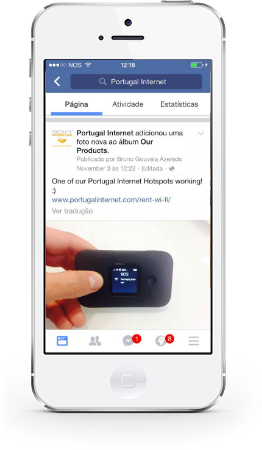 We give you unlimited traffic when you rent wifi Portugal. Connect up to 10 devices simultaneously. Provide Internet access to your friends and family during your vacations in Portugal. 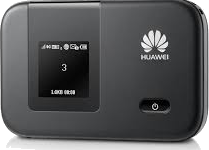 As small and light as a cigarette pack and with up to 8 hours battery life with continuous usage, you will have internet connection anytime, anywhere. You get a pre-paid service. Unlimited traffic and duration are predefined, there will no be extras charges in the end with rent wifi Portugal. We allow rentals from 3 to 360 days. You get discounts when renting for long periods. – The hotspot connects to a mobile phone network in Portugal, using a 3G or 4G connection, to get internet access.